Wild life & Ornithological Tours: south India has a fair share of the 81 National Parks and 441 game sanctuaries of India and is a heaven for endangered species. Our tours take you through wildlife and bird rich areas of kerala,Tamil Nadu and Karnataka accompanied by expert Naturalists. Thattekad – Kodanaud – Kochi. Cycling through village and roads with much less traffic. 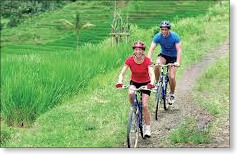 Stay in interesting places, Villages, Guest houses, Beaches etc. If ever there was a place specially created for the hiker, then it must be south India. sure there are other sports that offer a pleasant walk.But where else does going by foot offer’s so many rewards ? Virtually every steps reveals an enchanting new sight, fascinating new prospective.Hiking in south India extends no hassle’s,you will furnished with everything you need to put your best foot forward. DAY 01 - Arrive Cochin. Transfer to a Hotel. Later visit Cochin. DAY 02 - Cochin - Alleppy , Discover the Backwaters. DAY 03 TO DAY 10 - Alleppy, Munnar - Kodaikanal MUNNAR - located in the western Ghats, has the highest peak ANNAMUDI. 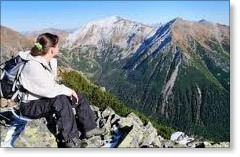 You will hike in the munnar and later move to Kodaikanal , hike around the mountains there. DAY 11 - Madurai, visit the septacular Meenakshi Temple. DAY 12 & 13 - Kovalam.Relax on the Beach. Everyone agrees that south India is beautiful,but for the biker it has a special allure. for amidst its sloper,valleys and villages,the terrain is both rough and smooth if you are a committed biker you love south India and then you’ll also appreciate comfortable overnight stay and relaxy stint on the beach. In the back-waters a wonderful experience,canoeing along the inland waterway in small canoes escaping from the noise & confusion of civilization what will strike you first is the sheer stillness and silience and the breath taking scenery. Fish at exotic fishing camps located in river banks in south India which are angular’s paradise where you can land with a price catch of a Mahseer. 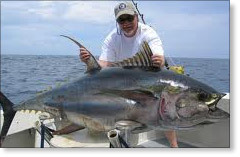 Venture into see either in a catamaran with a fisherman for a days catch or on a powerboat for deep sea fishing.